Those who can't teach?! I think that is one of the worst phrases in our society for a variety of reasons. I state that as someone who is married to a 7th grade science teacher and has a family of teachers and mentors in my life. Read this interview and try not to see the power of a strong mentor and someone being selfless for the greater good. Matt is that guy. Not only does he have a great aesthetic and super clean and smart spacial and visual sense to him, but he thinks of others and it is genuine. Being a teacher is just one of the hats that he wears and it is through his design and impressive portfolio that he gets to put those skill into motion. Matt is the cool teacher for the 21st century. He is in the trenches and shares that experience and insight honestly with his students all while making some incredible design and branding deliverables for his clients. We could use a few more Matts in the world. AJ: I'm happy to have with us with us Matt Leech checking in with us from Harrisonburg, Virginia. How's it going today Matt? Matt: Is going well, thanks for having me. AJ: Yeah it’s great. This this is a great opportunity. Matt and I have been, you know, bouncing back and forth with the trials and tribulations of life and parenthood, you know, we’re exemplary in our -- in trying to coordinate this. So, I felt a connection without being in person. Matt: Well thank you. Thanks for dealing again, thanks for dealing with my ridiculous schedule with two year old. AJ: No, if you had told me that your schedule is very by the clock and you're getting plenty of sleep and nothing, I might be -- I’ll probably be a little pissed. So, it was good to know that I wasn't the only one in the trenches at that point so it's good. Now for those scored at home, I come to learn of Matt’s work through Brothers Craft Brewing, which is a Virginia brewery. I was -- for about three years a Horizon Society Member. They’re most I guess well known beer. Nationally is the Resolute Beer, but Matt has a great portfolio. If you go to his website MattandtheLeeches.com, we’ll make sure to post that on the website and the various entities so you can easily gain access to it, but Matt’s got a great portfolio and has done work with Virginia beer, as well as a Crooked Run Brewery. So, we're going to just trying to learn a little bit about you, Matt and your background as artist and kind of see where we go. Matt: Sounds good, let's get to it. AJ: So, in our kind of pre-interview, came to learn that you are roommates with Tim (Skirven), who we've recently spoken to who does the work of Veil Brewing. So, that was a crazy kind of fun fact but, how would you describe your background or how did you come to, you know kind of find the light so to speak of being a -- of being an artist and a designer? Matt: Oh yeah, I've always liked doing design work and been really interested in print making and making art, but I what I like more most anything is solving visual spacial problems. So, that’s how I kind of how I found my way into the design side of things. 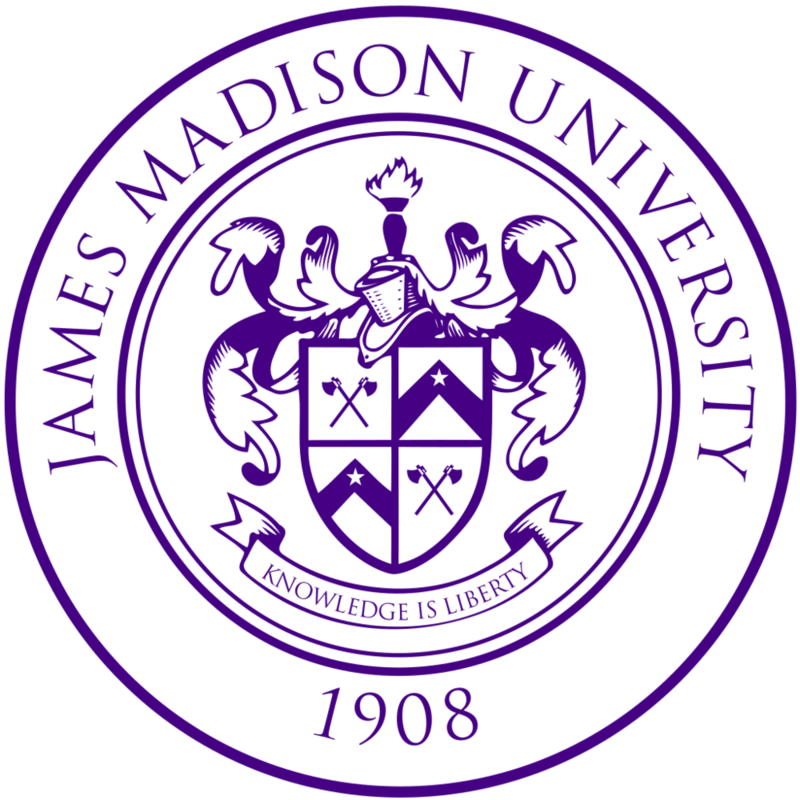 I actually went to James Madison University for print making and graduated with a BFA in print making there and that was my focus but, I've always liked fixing, solving visual puzzlesI guess I would say. So, and that's kind of I found I found me way into the design side of things. So, I’ve got some fine art experience throughout my life, but the design work started paying the bill and I kind of found a way to integrate the two through a lot of the brewery work that I do and what a lot of my clients really but, you know, that's kind of how I ended up doing what I do. I've bounce around Virginia for a while. First with some different jobs, working in design studios and a couple of non-profits and was a web specialist for a university at one point, but about -- I guess about five years ago, I started working just on my own and things have been gone pretty well and I get to wear sweatpants to work every day, I work at my house. So, that's that's a bonus, but yeah I don't have that kind of ended up doing what I'm doing and I think great so far. I've been really lucky to work with a lot of really cool clients and a lot of which involves beer, which is a big bonus. So, it makes the meetings very tolerable when they do happen. AJ: Right, exactly. Oh we're going to meet at the brewery - I have this new one I want you to try this one. Matt: Yeah, a lot of 8 or 9 AM beer tasting which is always interesting time to be doing that, but for when it's for work it's allowed. AJ: I approve, we approve of it over here . So, one unique thing I saw is that you’re professor. So, that's kind of -- that’s really interesting. Matt: Yeah I started teaching last year at James Madison University. So, every time I go to teach, you know, I go to teaching in the same building where I took a lot of classes. So, I get really fun like nostalgia wave every Monday and Wednesday when I go to teach but, when I was in school, there's a great focus on, you know, learning your craft but not necessarily learning a lot of practical skills that I think artists need to know like how to do your taxes as a designer or as an independent artist and how to manage your time and go get work and learn how to talk to businesses and get them to place their trust in you to design stuff for them or make art for them. So, I teach a class that I design to try and better equip college age kids that are graduating -- students I should say, that are graduating and to be better prepared for going into the real world and getting jobs and kind of make them feel a bit more confident in what they're doing on the back end of things. So, yes it’s a really fun, I try and, you know, thinking about what I would have liked to have know graduating college that I didn't know and give them that kind of knowledge and bring in a lot of guest speakers to come speak to them and tell people what it's like. Yes, it’s actually really fun. The fun outlet and it's really -- it's inspirational in that, I get to hang out with a bunch of people who are really excited to be designers and really excited to work with, you know, a real client. Like my class right now is doing a project for Brothers Craft Brewing and it's just really fun to see how excited they get and to remember how privileged I am to be able to do what I do for a living, you know, that's easy to forget that in the day they sometimes. So, yeah it's really quick -- it’s really rejuvenated I guess I’d say to be around all those students that are really stoked to be designing stuff and to get the opportunity to work with clients and beer clients. Yeah it's pretty cool. AJ: That's great and that's one of the -- it was my few underlying themes and speaking to different artists across the country and one is what you said originally about the classes. The business aspect of it. It's not always the sexiest or the prettiest part it of it but I think that that is something that is kind of essential for something that's, you know, art can be and design can at times be fairly abstract or just kind of one of the professions at times and seen like oh you just got very unstructured at times. I think that's a -- I think there’s a big -- I think it’s an unfortunate misconception. Matt: Yeah I think empowering people is really important in the arts and making people, you know, feel like what they're doing is worth other people's time and worth business’ money and I think that's really the community of designers in Virginia and just across the board especially in the beer community people that want to see the designers and artists taken care of and showcase their work which is really cool. So, yeah it's really great to try and make people feel a bit more confident in what you're doing and learn how to really just take care of themselves doing what they love and I think that's really important. So, I do think often times that business side of something subjective can be, you know, shied away from. People feel like that's, you know,I use the word selling out but like that's just the thing that a lot of people don't think it's necessary, but I think it's important to take care of yourself and take care of your craft and keep it respected and be able to earn a little bit of money doing, it it's just wonderful. So, yeah it's really cool working with students and it's cool to see -- cool to bring in guest speakers and stuffs too, even for my own benefit, you know, just learn how other people are doing things because I don't think you can ever really stop learning that kind of stuff, you know, I didn’t go to school for business in any way. So, it’s always cool to see what other people are doing and how other people are managing their small businesses. AJ: Right, I think that's great. Now, did you have on your side somebody who mentored you or kind of showed you the ropes in that regard or was there unfortunately kind of fall on your face and kind of take some lumps? Matt: Yeah. I mean it was a lot of falling on my face for sure but I had a good encouragement from people and different kind of businesses that I work with that, you know, really allowed me to learn from them as well. You know, I know one of the main reasons you gave me a ring today with because of my work with Brothers and Adam Shiflet one of the oldest brother of the three that opened that brewery. You know, they were opening their business and I was starting to work on my own around the same time. So, it was kind of cool to see, you know, they're on this much larger scale and, you know, on this more production packaged products selling end of the spectrum but it’s cool to watch them how they operate their business and kind of pick up a few tips and tricks on, you know, just the management of things there too. Yeah there's also a really great, you know, local resources here in Virginia. There's a small business nonprofit associations that will help you consult for free, you know, will consult your business for free and connect you to some lawyers, an accountant references and stuff. So definitely a lot of falling on my face but also a lot of really good community support for sure. AJ: That's great and I think that’s encouraging because what we've been doing is we've spoken to artists of all different kind of points in their career and so it's really interesting to see, you know, I want -- I think it's really important to --hopefully others are as lucky to have, you know, infrastructure like that place that's willing, because I know at a previous life there was a period where I was the kind -- the friend who is tech savvy and did some freelance websites and it was really -- that was that was always, you know, I thought about that as a career but it was really hard for me. The idea of getting paid for something that people didn't really understand. It was, you know, oh that’s oversharing, they said that and even doing this project I reached out to a few folks I respected. Matt: Yeah for sure it's a good tool. I think it’s hard to -- it’s a hard thing when you're selling something that’s intangible. You know what I mean, hard to do that. So, again luckily I've been able to pick and choose clients of value that kind of thing and, you know, I really believe in power of good visuals and good branding. I think they really help people -- can really make or break people and what they're selling. So, yeah I've been lucky to work with people who really value that, but I understand how hard it is to sell something intangible and also something -- excuse me something subjective too, you know, visuals are really subjective. So, I thought it's an interesting conversation to have with people to see, you know, how much people place their value on that and when you try and transfer that to a dollar amount. It's really interesting. Matt: Cool yeah when did you head down? AJ: A few friends of ours went -- it was this past August. We were -- we were on our way down to Lockn the music festival and we stopped in. Matt: Awesome. Okay. Very cold. AJ: Yeah it was awesome. So, how did you come to, you know, you said that Adam helped you, but how did you come to connect with, you know, with the brothers? Matt: Oh man yeah I guess a little bit of luck really. I saw someone post an article on Facebook about a new brewery opening in Harrisonburg and I think it was -- I remember so I was living here at the time or about to move the back here at the time but I saw their working logo and was just like; man I want to see it look, you know, cool. I knew that they were, you know, still looking for that kind of help. So I just asked anyone if they knew anybody that was working there and got Adam’s contact information and just gave him a ring and it just suited. We met and I think we had a good rapport and, you know, we talked a little bit about what direction he wanted to go in and there was really no turning back from there. Everything worked out and I think we started working together in, shoot I think it was October but I don't remember what year . It's been awhile since they first opened - a year before they first opened but yeah that's how I really got connected with them and it was just a phone call and sometimes it takes a phone call and everything else is going to falls in the place. AJ: That’s excellent, now were you with them from the original Three Brothers at that point in time? Matt: Yeah, we started -- they started as Three Brothers and we did all the design work through them and then had to go through and change everything again about -- I guess it was like a year and half in or so. So, yeah I have been with them since they opened which is, you know, really cool. I think we watched them -- watch them change and grow for sure. AJ: Yeah I have a -- I have a cellar of my beers in the basement, so it’s cool to see the originals and then the new logos of the brewery. Matt: Yeah, sure it’s not -- I don’t say that it’s good that they had to change their name necessarily, but the silver lining for me was I really got to redo and update a lot of stuff that we had done originally that, you know, we got to change. So it was really nice. AJ: Right and I think that -- I think it was a smart when they did it especially how they are growing I think to do it at that point in time versus, you know, later where they're gaining even more kind of traction. I think that would have been probably a little bit more difficult to do. Matt: Sure yeah. I think they handled well with -- there are a lot of really long discussions about how to handle that and I think they did a really good job of the transition and yeah I think it went pretty smoothly all things considered for them for sure. AJ: Right I think it’s yeah. It’s one of those -- now the idea especially just, I mean just what it takes a to get a business going and that they changed the name, you know, but I guess the idea I think it was great and to a point, you know, it just the evolution of the logo it’s still very complimentary but it’s still unique which is nice. AJ: Now, talking of themes and spacial obviously if anyone -- if you’re not familiar with Brothers Craft Brewing make sure you check out their website brotherscraftbrewing.com, but one of the things I love about their labels is there is this great logo with the mountains and it’s very versatile -- it’s a very versatile logo and throughout the various styles or beers or even just promotion materials, it’s, you know, sometimes is very obviously right in front of you, other times has a very where’s Waldo-esque feel to it. You try to find -- you try to find it throughout the creative and I think it’s really interesting to see how you are able to still keep that level of front and center, but it really has its versatile, I love it in Drunken Mornings and there is just some really great uses of it. Matt: Cool yeah. Thanks man we try and weave it in their and find and interesting ways and there is different ways that we use it in the space depending on the line or beers that we do, you know, if it’s something that’s in a six pack sitting on a shelf at a grocery store there is some you know brand standards that we follow with a logo there, but as you mention as a member of the Horizon society, we get to play a little bit more with those beers because people buying them already know who Brothers are and where they are buying them. So we get to have a little bit more fun with those ones. AJ: Right and even that the Horizon society kind of keeps along with the mountain or the nature of theme which is you know, it’s complimentary to, you know, Virginia and the area the country it is. So it’s a nice -- yeah I like that. It’s kind of like they are all -- obviously they are all related but they each have their own unique kind of vibe an depending on the style of beer it seems they have a different kind of, you know focus. Matt: Yeah, for sure yeah we try and do -- Brothers makes really, I call it very all-inclusive beers, you know, they’re really balanced and they are not too insane one way or the other at least for their shelf beers, not so much for the Horizons Society beers, but we try and reflect that in the art with a lot of landscapes stuff that all reference specific places in Virginia especially to this area, but we try and keep those references subtle so that we’re not excluding anybody outside of the region, you know, someone like yourself in Connecticut wont -- the references won’t be lost on you just because you are not from the Shanadow Valley or something like that. So, yeah we’re trying to tie all the names in with, you know, subtle references to the area and stuff with the flagship beers. So, that’s a fun way to use the logo within those for sure. AJ: That’s interesting, that makes me want to pull up the website and go through some of them and see what. Matt: Yeah, I think -- I think if you dig through their site you’ll find some explanations is on there on the -- about on the different beer pages. Yeah all of them -- most of all them are landscaped in the area, there is a couple that had a more specific -- there is a double IPA called the admiral which is a reference to Adam’s time in the navy he spent on the submarine for like 10 years. So we do a few calls to that, but most everything else is named after stuff in our area or, you know, places in our area or events in the area things like that. Again we try not to make it too specific so that we are not losing any potential drinkers there with names and graphics. AJ: Yeah the super tight inside joke that no one gets and it’s like "Oh thanks"
Matt: Sometimes a little bit. AJ: Which is good once a while. Yeah if it came -- if it got inside jokes brewing company would be a little tough. Yeah is like, you know, for all you kind of Mario Nintendo, you know, kids there is -- the Pilsnerd which is great has that 8bit style to which is -- which is cool. It’s cool to see again, it’s the logo still works and is versatile for that. Matt: Yeah that was a fun one. That was a fun tedious one to make, but that’s one of my -- one of my all-time favorite from the Brothers line. I think that’s a fun one for the summer. AJ: Right, I can imagine how with technology, you know, it’s great, but to go back to the start -- a period of time where you will have as many color choices or options for drawings to regress to that 8bit style. It’s pretty -- I can see it’s very tedious. Matt: Yeah there is probably easier way to do that than I did, but yeah that was all of the drawings were by hand. There’s probably a much easier way to do that, probably could have just made it originally and, you know, pixelated it or something, but you know, that was a fun one to make for sure. AJ: Right and if you’ve played any, you know, Mario or Nintendo, you probably, you know, you probably had a big grin on your face half the time just, you know being like I’m getting paid to make a beer label from the 80s’ yeah. Matt: For sure yeah that kind of stuff gets really fun and as you’re working on, you know, things snow ball you get to add in fun little things that you think of while you’re thinking about all the games that you played and at the same time you trying to avoid any weird copyright infringements so I'm like flipping buttons on the controller and trying to stay clear of certain colors and stuff so. Yeah that’s a funny technical side of things for sure. Having fun while calling on something in the past well trying to avoid getting too close. AJ: Yeah I can imagine that especially nowadays the availability for images to be all over -- seen instantly all over the places, good and bad in some regards. AJ: Now, you mentioned with the Pilsnerd which is the German pilsner that -- that was hand drawn. What is your normal kind of methodology? Are you a sketch to scan? How do you? What’s your medium? Matt: Usually you know, I’ve lately been going straight to the computer. I’d start doing some thumbnail sketches and stuff by hand, but for the most part all the leg works have been on the computer for me. It’s just, I’m just faster there and it just makes a little bit more sense for my style. So yeah usually I start in Illustrator really. Everything I make, I try to make vector based just because, especially with someone like Brothers or Virginia Beer Company, you know, the things that we’re making are going to be used over and over and in so many different mediums, you know, the beer labels just kind of one touch point, you know. These things -- just sent away a track wrap for a brewery that’s going on a semi-truck. So, everything needs to be scalable and not lose, you know, resolutions and things like. So, everything I do is usually in illustrator -- occasionally and In Design or something starting on the computer and trying to keep everything vector based just so there is no headaches down the line. AJ: All right. Now, do you remember the first product whether it was beer or you know, barbecue or anything that was kind of came to -- came to market like that first time out of the -- out of production. Do you remember the first product that you released, that you were part off? Matt: The first thing that I designed that was me? Matt: Oh man, that's a great question. I definitely remember I used to work at this educational non-profit as a production designer and it was a really tedious -- not necessarily the most fun job. I remember when those things used to come out like, you know, these books that we make for these kids. That was really cool, I remember those coming out, you know, I really would really get to see them in use. So, it was cool to see those, but regarding beer, I really don’t know for sure -- I mean it’s always fun. I don’t like have like a special moment with the first time of anything I made, you know, honestly by the time it’s in my hand, I’ve been working on it for so long that I’m still immersed in it and it’s not really, you know, I’ve seen proofs of it and I try and mock it up. So, while it’s really special you know, for me most of the joy comes from the process, you know what I mean. It’s cool the moment that I get to see this, it’s cool but what’s way cooler is watching everybody else experience it for me at least. So, I can’t really say anything off the top of my head that jumps out like the first thing but it’s always cool. I mean it always still get really stoked when, you know, somebody calls me and tells me that a bunch of labels are in or, you know, some new cartons are in or whatever. I want to go check it out but, yeah everything still fun every time and I can’t really remember the first one. AJ: All right. Well I think the education story is pretty great to see something in the kid’s hands that’s something I wouldn’t have expected. While the reason that we met Matt is because of beer, the focus -- what we are trying to do is learn more about artist. I mean it just so happens that you art is, you know, where we connected our path crosses because of beer, but yeah. We’re pretty open to, you know, this art and design in general and the stories that kind of come from that. So, you know, we don’t have to just be talking about your beer life, you know, like I said you go to mattandleeches.com and you have a pretty robust portfolio. I can imagine just as another common places that, you know, most artist who are busy, which is a good problem to have or not updating their website on a weekly or monthly basis. Matt: Yeah you can visit their website all you like and I encourage you to do so, but yeah I’m pretty bad at keeping up to speed. It’s in need of an update. AJ: All right, all we say if you have time to -- if you check the last updated date, and it’s been, you know, a couple of days, you know, that’s just, you know, means you have a little extra free time in the hands or you don’t have a two year old running around the house? Matt: Yeah that’s definitely changed my working life a lot. Before my daughter came along I definitely would kind of ebb and flow throughout the day. You know with my work schedule works at night work in the morning and, you know, things of that nature but I definitely want to -- and one of the things I like so much about being self-employed for so long was that I could, you know, work when I want and not work when I didn’t want. Now having a kid, I find myself falling into that more, you know, eight to four thirty work schedule and try to little bit more, you know, learning to be a lot more efficient with my time in a condensed period. So, yeah I don’t -- my free time is a little bit -- my free time for that kind of stuff falls by the way side a lot because I’m usually chasing a kid around. AJ: Well it keeps you in shape, right? So there you go. Matt: Yeah that’s fair. Yeah I use the word clean a lot. I like to think that in everything I do there’s, you know, references to things or people or places but I try to keep everything subtle and clean and simple. Try and -- try and keep things as uncomplicated as possible with a lot of the work that I do and just focus on good communication, trying to get people points across quickly if we’re talking about, you know, the design work I do. Try and keep things clean and simple and, you know, obviously reflect with people that I’m working with. And lot of stuff from my portfolio site just glancing through kind of follows along with that. I like to use a lot of just really clean thiick lines and I keep things really consistent. Is that a good description? AJ: If you think it is, yeah. I mean that, you know, if we’re the elevator would just get off and I was like I got what you’re doing and I thought yeah, right. Matt: I struggled to say that. Matt: Yeah I mean, you know, as a as a designer, you know, I talk about this a lot in my class a lot and it's an idea that Mike Monteiro, a designer, preaches and it's that, you know, as an artist you get to design and create works to reflect your own viewpoint but as a designer, you know, you're designing and creating art to reflect the viewpoint and the goals of the client. So, while I do feel like I have a pretty distinct style in terms of what I do, I mean there's always, you know, things that I try to reflect that are not my own ideas and are not my, you know, what I'm selling and the thinks that I make. AJ: I think it's a -- yeah you got you got find that ying and yang to it and you realize you have to kind of be humble in a way to realize that you’re not necessarily representing your ideas but you're helping somebody who can’t visually, you know, or design express what they're trying to do for an image or a mentality. So, yeah I can see that. Have you had any designs where you're really excited about you kind of give it to them and they’re like; oh that’s not what we are hoping for here? Matt: Oh for sure yeah that happens constantly. Yeah that's -- I've had to learn and I think most people have to learn that you have to generate some pretty thick skin to work in a subjective business, you know. There's always an idea that I think it's awesome that other people, you know, aren't as interested in that's just part of -- that’s how it goes and it’s happen for me personally but luckily I would say after doing this for long as long as I have, not that I've been doing this for a super long time, but working with people that I've worked with and having opportunities that I've had, having the success stories that I've had, you know, there's a lot of trust placed on me to make the right decisions for people which is a really nice feeling to be able to make these visual decisions and explain to people why they're good. I think that's a big part of being a designer being able to explain why certain visual decisions are helpful and why they reflect the appropriate things about someone's business or product. So, yeah that's -- I've been lucky and fortunate, you know, to work with people that think that get that and I try and make sure when I go into business with someone that they understand, you know, they're hiring me for those reasons and that if they want something very specific if they see. You know someone’s is like, “I need a dog with a crown on it holding a hotdog.” You know, I make sure to tell them they can go somewhere online and get it for much cheaper than they're paying me to make that kind of stuff. So, I try and work with people that understand putting visuals in the hands of people that work with that professionally is a really good idea. AJ: I couldn’t agree more, I think that, you know, I’m thinking art and imagery and branding is essential. And that's the idea, you know, obviously I've been very lucky in speaking to artists who work with breweries and have worked on labels or logos of beer I really enjoy but we've decided that we're going to be beer agnostic. So, it's not really about the beer, it’s about the packaging and the labels and the imagery. The idea that's the foundation of it and so that's what we're trying to do. Like I said, I've enjoyed almost all the beers I’ve had from Brothers. You’ve also have done work with Virginia Beer company that we mentioned and, you know, Crooked Run brewing. So, I will -- because you’re so associated with them, I’ll definitely be trying to check them out. How did you fall into that? Matt: Recommendations I guess and I think for Crooked Run, I think they had just called Adam and asked who the designer was and wanted to work with me for that reason which is great. And Virginia beer company, I don't quite honestly I don't remember how that came to be. I think I actually wrote them on when I saw that they're opening. I'm really into all things Virginia so I saw that they were opening and said, you know, hey I think a can help you and it just ended up being a good fit. So, we were able to work together and they seem to have done really well for themselves. They’re in Williamsburg so they’re about three hours from Harrisonburg, but they’ve I forget what end of beer -- year was they made your advocate or rapier something best in class for a year. So, they had a really good year, their beers really great and it's a really fun working with them. It's kind of a different vibe than a lot of other stuff I do work, you know, very clean, focused and deliberate in everything that we do. So, yeah they're fun people to work with and the same goes for Crooked Run. They just opened up a brand new much bigger production facility and a taproom that has a tacoria built in which is great in Sterling,Virginia and those guys are fun to work with too. They're very hands on they have -- they come to you with a lot –come to me with a lot of ideas. They have specific ideas for what they want to accomplish and we came with a brand refresh them and now we're kind of pushing what we've created to see the limits of, you know, the images that we make for them. So, it's really fun it's all three there's definitely similarities with working with breweries, you know, there's also a lot of differences and it’s fun to see those come up as you work. Matt: For sure, yeah absolutely. AJ: So, all the beer, I mean you work with three breweries so that’s pretty -- do you have any favorite styles of beer or favorite of the beers you work on? Matt: I'll drink just about anything you put in front of me. It’s true, I’ll drink just about anything, but I’m pretty much a standard beer nerd, you know, like when I tell people, you know, someone's going somewhere fun out of state or something and they're bringing me back beer I always say if it’s -- I’d get it if it’s really hoppy or barrel aged or if it’s sour or if it’s just really weird. I like really weird -- really weird beers. I’m trying to think of some good ones that I’ve had lately, but yeah, that’s really my -- that’s my buying profile. AJ: The -- yeah, the weird level in recent years has gone to new heights so it’s definitely been -- definitely been interesting. Matt: Yeah, it’s been getting really been getting real weird. I like it. It’s definitely more of a gamble when you buy the weird stuff but I like it, it’s great. Yeah, I really will drink anything. I think, you know, I really like -- I really like hoppy beers and my wife really enjoys hoppy beers so that’s usually what -- that’s usually what’s in the fridge for the most part. AJ: Excellent. Excellent. Now, when working with just -- with Brother’s, how far around is the process from when new beer is -- new beer X is coming out to when you need to have a label for that? How long -- how is that process? AJ: What was that laugh? Matt: It varies of all the breweries, you know, Brothers have been around the longest out of everybody I’ve work with. They’re really, you know, they’re really established in the area. I think they are in like the top ten largest breweries in Virginia or at least in Groove’s categories or something or -- at least last I checked but they’re -- I say that because they have their feet much more under them, you know, as opposed to when they just opened, and the other two breweries that I work with are smaller and are newer so, with Brothers, there’s an annual production schedule. I can see everything that’s going to happen that calendar year and we just start chipping away at stuff as early as possible. Yeah, for Brothers, I -- there’s a production schedule. We just kind of chop away at it, chip away at it as early as possible. So, ideally, what they -- what you’re seeing on the shelf when it’s new on the shelf is pretty old to me, like six months to a year old, but there’s also projects that pop up all the time that they say, you know, “Hey, we made a cool pilot batch of it, we’re going to bottle it.” When your label, you know, used today. So that certainly happens all the time and they have like a canning -- like a canning collaboration thing they’re doing this year so those are pretty quick turnarounds but yeah, it is very, you know, it’s very -- it’s just varies a lot, but luckily with Brothers I have a lot of taxonomy in terms of what I design and I, you know, really so familiar with brand at this point that I know what works and know what, you know, what they don’t want to see and things like that. So, it’s pretty easy either way with them though sometimes it’s a little stressful. With Crooked Run they’re, you know, they’re pretty busy too in terms of, you know, they do a lot of like variations on a beer or something. I can crank out a lot of small-batch stuff. So I hear about that very quickly and try and get labels for them very quickly as well. Virginia Beer Company, when I started working with them, were really far from opening but new -- yeah, very deliberate at what beers they were going to make and what beers they were going to can and things like that. So, I had a lot of time to develop artwork for them so yeah, I mean, it’s -- honestly, it’s just varies and at depends on the day. Sometimes I wake up to a very frantic voicemail from somebody asking for a label as soon as I can and, you know, but a lot of guys are aren’t able to plot out, you know, what’s going to happen months in advance, which is kind of cool. AJ: Oh, that’s great, and I know most recently an image in the canning, you know, there was a collaboration with Ocelot, you know, another brewery in the -- in the Virginia area, and so, from a collaboration standpoint, is there -- because it is being canned at Brothers, do you kind of take control of your artwork or is there a collaboration there, I mean, I know it’s a play off of. Matt: I’ve become maybe open to it. I think -- I think there’s a couple down the road. I can’t remember the brewery but there’s one brewery that’s going to collaborate with them in July or August where the brewery owner and brewer is actually a graphic designer and does all the design work. 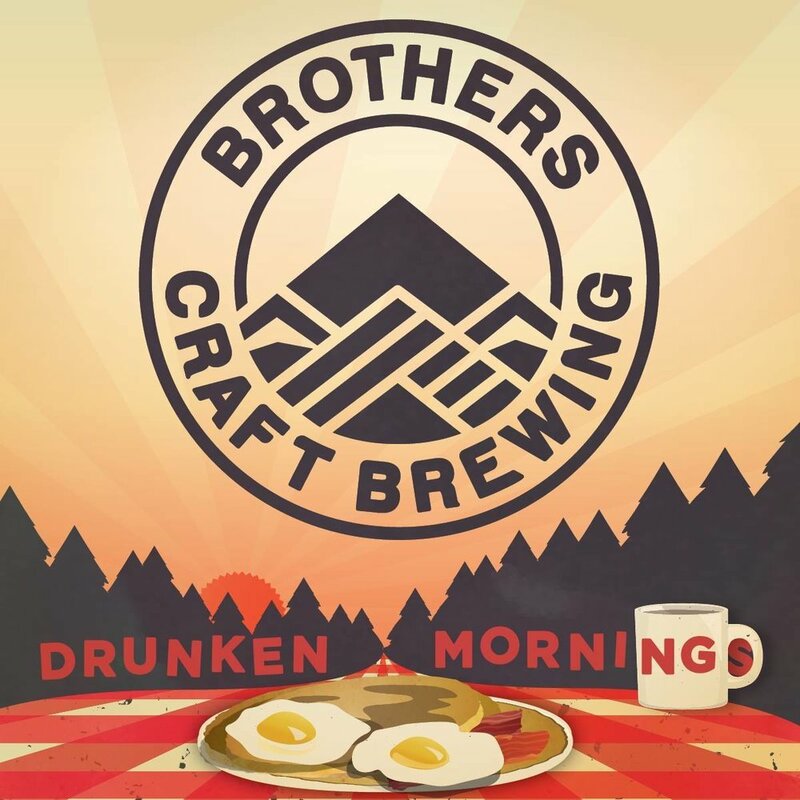 So, I’m hoping I’ll collaborate with he/she at that time because that’ll be super fun but yeah, I’m not sure, you know, the financials of it all but I know the beer is brewed at Brothers and released at Brothers in Brothers’ cans. So, I’ve been handling all the artwork. We’re trying to incorporate the logo and some information about other breweries for sure, but it’s just been me so far but the project is still very young. So, hopefully down the road we get some art collaboration in there as well. AJ: Excellent. Yeah, that’s really cool and I love the Pink Floyd reference. So, it was -- it was, again, like you said before subtle, but it was definitely not lost on me so well done. AJ: Excellent. I guess lastly is just kind of I guess I used to have a previous life in radio so I just always find it interesting what people’s kind of creative set up is or, you know, if there’s music that you listen to or just -- or, you’re a relaxing candle kind of guy, like what is the -- what is the scene when you’re creating, ideally without the two year old running around? Matt: Oh man, usually a lot of really -- it’s usually pretty loud in my office. I’m always listening to music. I don’t know, I listen to all kind of stuff. I really like The Kinks and anything that sounds kind of like The Kinks, but I also know a lot of rap or I like things similar to rap like a lot of RnB stuff. Like all week long I’ve been working on stuff and I’ve been listening to the new Frank Ocean record which is a really good record, but yeah things just -- it changes depending on the day. I really enjoy music and all kinds of music and so, yeah, it just depends on the day. Nothing specific. No like, you know, no specific music for a specific time. AJ: Okay. It’s always good, yeah, I think. I’m an eclectic kind of guy to -- I like one song, maybe one song from this artist and then five albums from this one and then, you know, something like that. So, just that kind of continuous playlist. Matt: Yeah, yeah, yeah. Music is a big part of -- big part of my life. So, it’s always on in the studio for sure. This one resonated with me as this microphone reminds me of the microphone we use for the 16oz. Canvas. AJ: Excellent. Matt, I thank you for making time available. I think this is really interesting. I think it’s really cool what you’re doing not only professionally but, you know, as an artist and designer but the class so you’re not only putting stuff out there today but you’re, I think you’re -- I see it as affecting tomorrow and I think that and to be honest it’s very likely you’re going to learn from your students, right? In a new perspective with techniques. AJ: I love that idea of it, you know, somebody who’s, you know, and again, most artists, you know, they speak with their crafts and so I’ve -- just the fact that folks are taken the time to speak with me, but you might be able to get somebody out of their shell and, you know, feel like they can confide or look to you as a mentor. So, I think it’s really, you know, I think it’s really great what you’re doing on many levels. Matt: Cool. Thanks, man. I appreciate it. Yeah, I’m just -- I’m just lucky to be doing what I’m doing. So, thanks for -- yeah, thanks the phone call today. It’s always -- it’s always nice to talk about -- talk about all the cool stuff I get to do every day. So, I appreciate the -- appreciate the phone call. AJ: Yeah, and you're super humble -- super, you know, humility. That’s probably part of the class too, you know, but, you know, you’ve got -- it’s not -- it’s very natural and I can say that -- thank you for making the time. I really enjoy the work you’re doing and look forward to the next update of your website next couple of years. I’m going to check it out then. Matt: Yeah, well man, I look forward to seeing everything get rolling on your side too and checking out the podcast and articles. AJ: Excellent. Cool. We’ll definitely be in touch and next time I’m in Virginia, you know, I’ll reach out and maybe I’ll be a little closer, we can grab a pint in person. Matt: Sounds perfect. Sounds perfect. I’m going to make you to bring down some Trillium. You’re close to that, right? AJ: I can -- yeah, if we have enough notice I can make it happen. Definitely. Matt: Awesome, that’s what I’m talking about. Cool. Yeah, thanks AJ. I appreciate the phone call. AJ: All right. Have a great day.